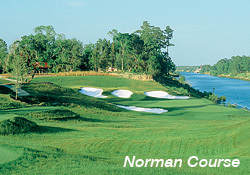 Barefoot Resort & Golf, home to a quartet of courses designed by Greg Norman, Davis Love III, Tom Fazio and Pete Dye, has been named North American Golf Resort of the Year by the International Association of Golf Tour Operators (IAGTO). As the global trade organization for the golf tourism industry, IAGTO conducts annual awards to recognize the best performing golf resorts in three regions: North America, Europe, and the Rest of the World. 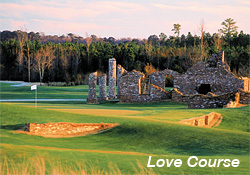 Over 500 IAGTO golf tour operators in 62 countries vote based on criteria including customer satisfaction, course quality, accommodations, accessibility to tee times, overall value, levels of service, and the professionalism which the organization works with in the industry and with tour operators. 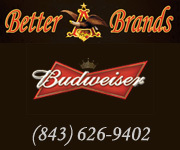 For more information about the IAGTO Awards, visit http://www.iagto.com/awards. In 2000, Barefoot Resort became the first American facility to open four courses simultaneously and it has delivered on its immense promise. 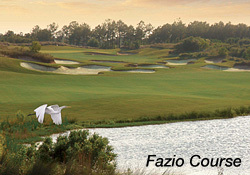 The Love Course, Fazio Course, and Dye Course have all been ranked among America’s top public layouts and the Norman Course, with seven holes that play along the Intracoastal Waterway, might be the most visually pleasing. 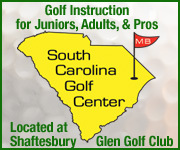 The award is another in string of honors for the Myrtle Beach golf community. 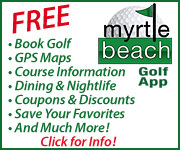 In 2015, readers of Golf.com, the game’s most popular website, named Myrtle Beach best overall destination, best for buddies trips, and best for value. 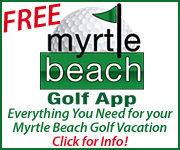 USA Today readers voted Myrtle Beach as the game’s best destination in 2014 as well. 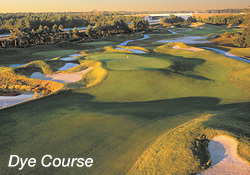 Barefoot succeeded Arnold Palmer’s Bay Hill, a long time PGA Tour host, as Golf Resort of the Year.